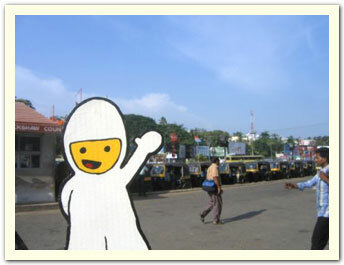 Bumperboy visits the busy train station in Trivandrum. August 2005. 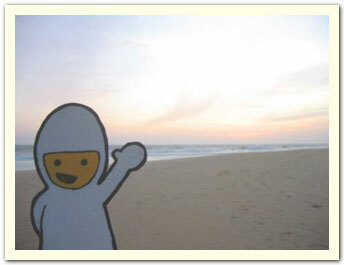 Photo taken by Christine C.
Bumperboy catches the sunset at the beach in Poovar, Kerala, India.